When you get a good video on your camera and you want to import it into your Mac, or your favorite iPod or iPhone, or upload to YouTube for sharing online, or share with your PC based computer friends, or import to your mobile phone to send to your lover via bluetooth, maybe you have ever been confused of the problem how to do this job. Mac MOD converter is the best program to convert MOD(MOI) files to AVI, FLV, WMV, MP4, 3GP, 3GPP, QuickTime (MOV, QT), MPG, MKV, etc. Then you can enjoy your favorite camera videos on your popular portable players like iPod, iPhone, Apple TV, PSP, Zune, PDA/Pocket PC (including BlackBerry), Creative Zen, Archos, Epson media players and any cell phone. Unibody Macbook, Mac Pro, Mac Mini, MacBook, MacBook Pro, MacBook Air, iMac and PC with Mac OS X. Only 3-step to convert MOD to other format: ali MOD files, choose the output format and start converting. Step 1 Ali MOD files to the program. 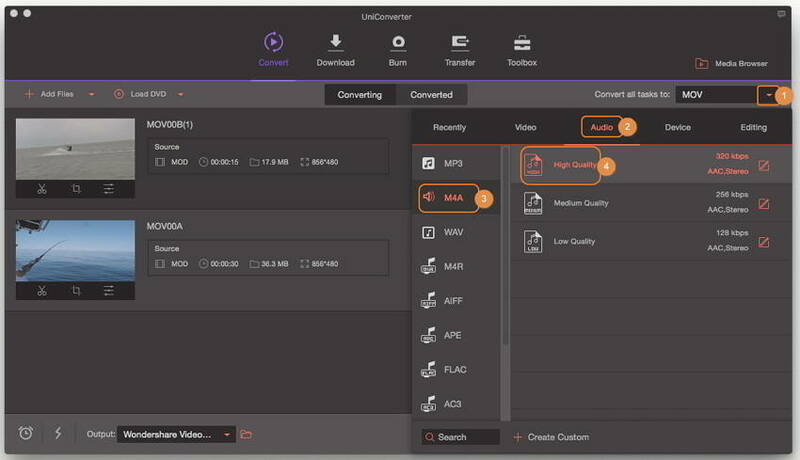 After you have downloaded and installed Wondershare UniConverter for Mac (originally Wondershare Video Converter Ultimate for Mac), launch it on your Mac. Then click the inverted triangle beside Ali Files > Ali from Camcorder. Check the camcorder videos you want to convert and click Ali to Convert List to load the files to the program. Step 2 Choose the output format like MP4, MOV. Click the inverted triangle beside Convert all tasks to and click Video > MP4/MOV, choose the resolution as you want. Step 3 Start converting MOD to MP4/MOV. When you are done, you should click Convert All at the bottom right corner. When done, you can see the target video in the Output Folder. It takes just a few minutes to convert videos that have a size of several gigabytes. Do not interrupt the process. How to play MOD on Mac? MOD videos can be viewed on a computer with a player that is capable of reproducing MPEG-2 video. This video can be easily authored for watching on a DVD player without recompression, because it is fully compliant with DVD-video standard. The MOD files can be easily renamed into AVI or MPG files and can then be read easily by most video editing or playback tools. If you just want to play back MOD video files on your Mac simply rename them as MPG or MV2 and you should have no problem in opening and viewing your video clips in Mplayer OS X or VLC Media player. You can extract audio files from MOD files on Mac too. With the similar steps as Part 1, only the difference is to choose the output format as M4V, MP3, or other audio format from Audio Category. 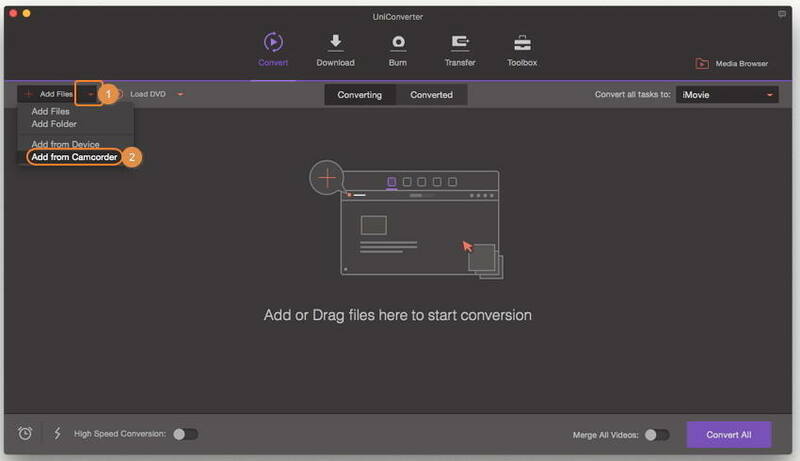 With this all-in-one MOD Converter for Mac you can easily trim, crop or set brightness and saturation with your favorite camera videos, also you can merge many video clips into one file which is magic for all of us. You only need to tab one of the editing tools to enter the editing window under the video thumbnail. 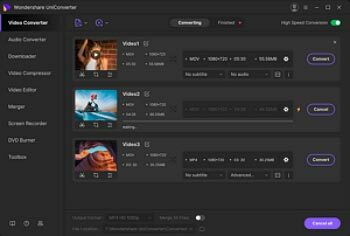 Learn more about editing videos. MOD is informal name of tapeless video formats used by JVC , Panasonic and Canon in some models of digital camcorders. The recording media for MOD format camcorder including Hard disk drive and solid-state memory cards. It use MPEG-2 video compression and MPEG-1 audio compression. The video frame size in pixels including 720 x 480, 720 x 576, 704 x 480, 352 x 480 and the video frame aspect ratio is 4:3 or 16:9. The file suffix .mod is marked on camcorder but changed to .mpg or .mpeg while imported to computer. Compared with TOD file format, MOD is used exclusively for standard definition video files, while TOD is used for high definition files.